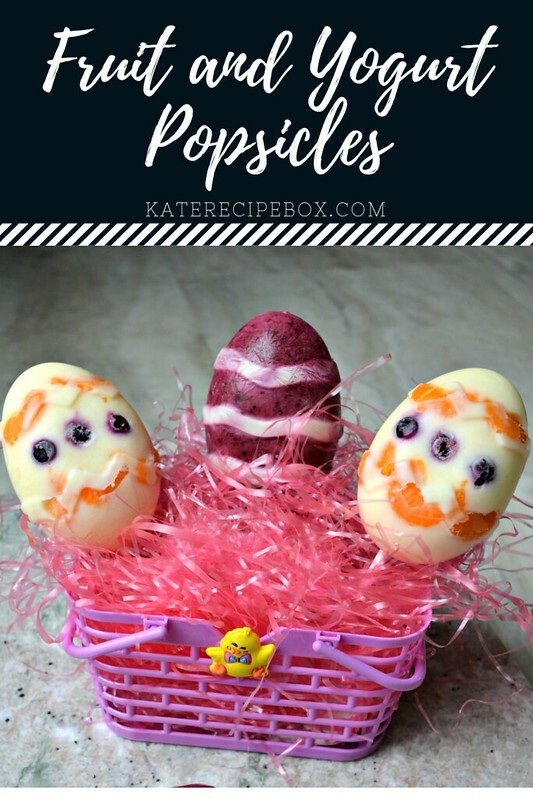 I’m switching gears a little bit today to bring you a fun spring treat that’s also healthy! 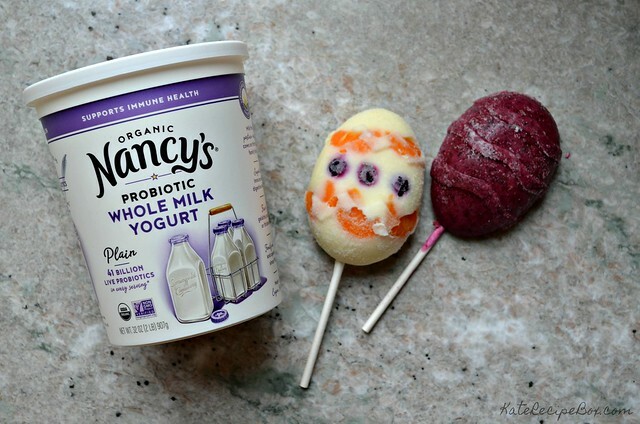 These fun popsicles are made with Nancy’s Organic Whole Milk Yogurt – which make them a great snack anytime, especially for kids! 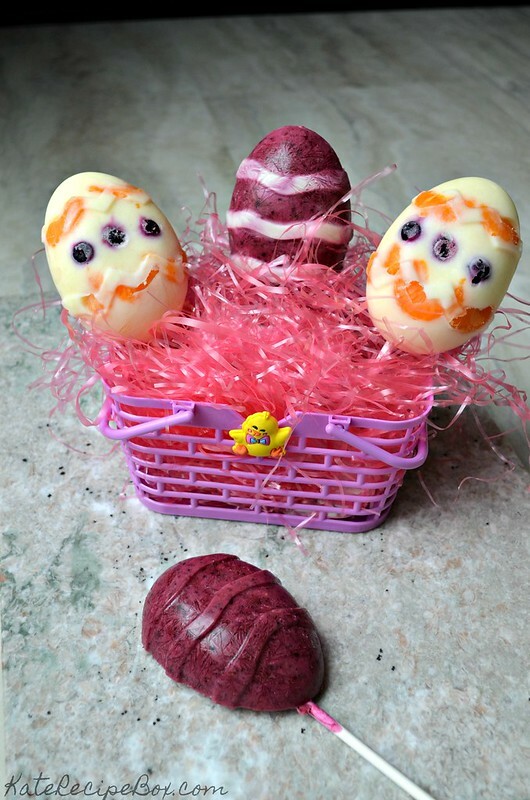 I used a Easter egg shaped silicone mold for these, but any shaped mold would work! If you don’t have a mold, small paper cups would also work. 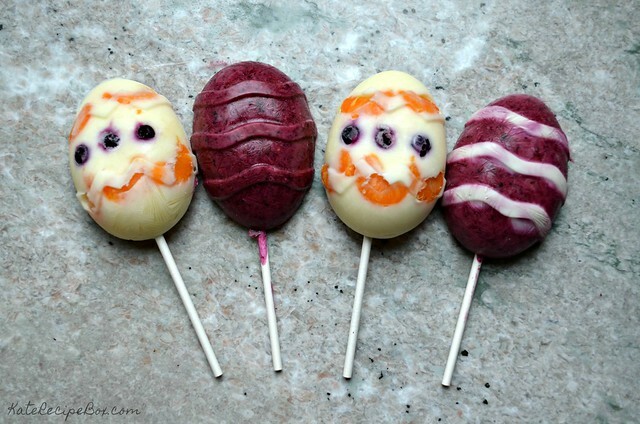 Decorate your pops with pieces of fruit or puree it into the yogurt to make different colors. Try to pick things with a variety of colors – the more you use, the more fun these will look! Combine the yogurt, vanilla, and honey in a blender. Remove some if you want to have white yogurt for some popsicles. Otherwise, add your fruit of choice and blend to fully combine. Lay fruit in the popsicle molds, and then fill with yogurt. Freeze for several hours before serving. Thank you #SpringSweetsWeek Sponsors: Dixie Crystals, Swiss Diamond, Nancy’s Yogurt, Barlean’s, Sprinkle Pop, PEEPS, Melissa’s Produce, and Adams Extracts for providing the prizes free of charge. These companies also provided the bloggers with samples and product to use for #SpringSweetsWeek recipes. All opinions are my own. The #SpringSweetsWeek giveaway is open to residents of the United States who are 18 years of age or older. All entries for the winner will be checked and verified. By entering you give the right to use your name and likeness. The number of entries received determines the odds of winning. Eight (8) winners will be selected. The prize packages will be sent directly from the giveaway sponsors. The #SpringSweetsWeek Bloggers are not responsible for the fulfillment or delivery of the prize packages. Bloggers hosting this giveaway and their immediate family members in their household cannot enter or win the giveaway. No purchase necessary. Void where prohibited by law. This promotion is in no way sponsored, endorsed or administered by, or associated with Facebook, Instagram, Pinterest, Twitter or any other social channel mentioned in the #SpringSweetsWeek posts or entry. Very different! I’ve had frozen yogurt but never in a popsicle!